It's the last day of Snap Happy Week over at Picture This! The theme a day has been fun... I'd sign on to do it again! The theme today is sweet. So here is my contribution. 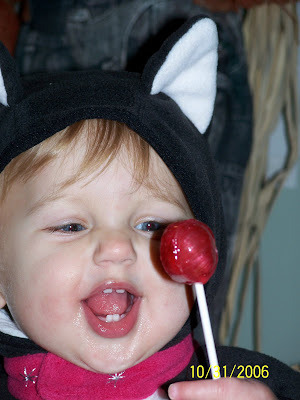 I'm not sure which was sweeter... that lollipop or Zoe as a kitty cat!